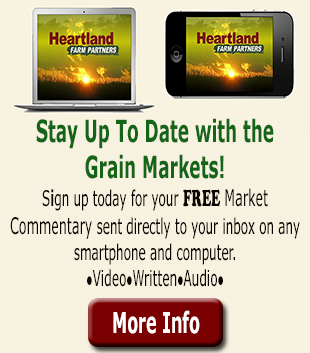 Heartland Farm Partner's Morning Commentary is released around 8 a.m. We review what has transpired overnight, how the markets are expected to open, and any other relevant information. 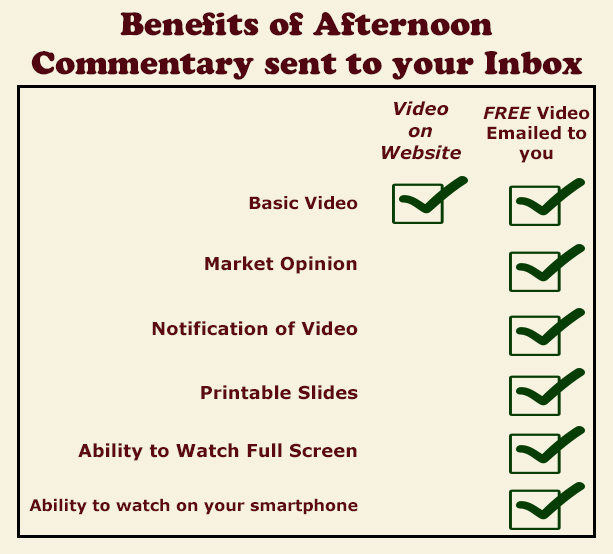 Our Midday Commentary is released around 12 p.m. We will review the day's market movers, and current prices. If you SIGN UP, we will send our Morning and Midday Commentary directly to you, by written or audio format. You can choose to be notified by text, e-mail or a phone call. Check back to see where we will be next!